Most of the actors use social media profiles to build fan base. But the problem is the social media networks are not completely under our control. So it is always recommended to have own website. If you are in dilemma to pick a CMS for your website, just go with WordPress. I have written top 10 reason to use WordPress as CMS, Check them once. Once you started using WordPress, I am sure you will fall in love with WordPress. 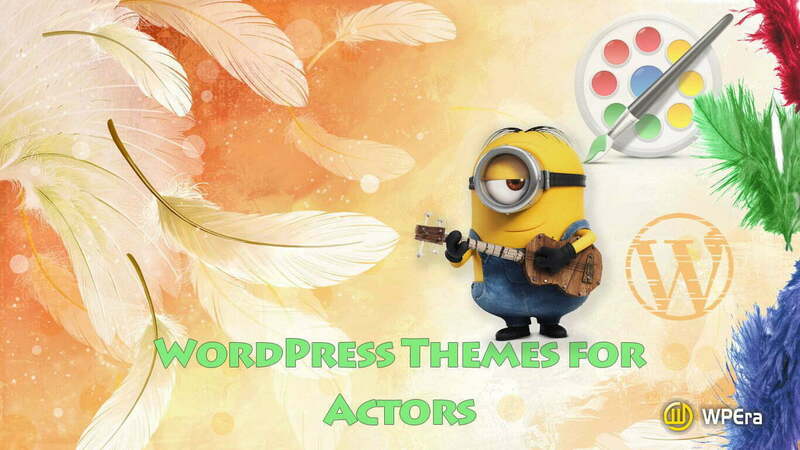 I have collected a huge list of WordPress Themes for Actors and Actress. I hope you will like my collection. Elision is beautiful retina-ready multi-purpose WordPress Theme which comes with WooCommerce Support, WPML Support, Visual Composer etc. This theme also allows you to use videos as background. Avada is the most selling WordPress theme in theme forest. The Avada Theme framework allows you to create any kind of theme. This theme comes with drag and drop Fusion Builder, Mobile visibility system, 20+ demos. Avada Fashion demo is best suitable for the artists. Divi is a multi-purpose WordPress theme, powered by Divi builder. Divi Builder is real-time frontend editor. 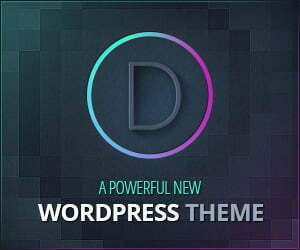 This theme comes with 20+ Readymade layouts, 46 content elements, Theme options panel and much more. Dondo is a beautiful Model and Agency portfolio theme and it comes with Revolution slider, Visual Composer and Essential Grid plugins. You can create a single page or multipage website, and membership website etc. This is a unique theme from Elegant Themes, built with flashy effects and ajax techniques. This theme comes with full screen portfolio section, Custom Photos for each page, gallery support etc. this theme has a unique design which surely grabs attention from your visitors. Chocolate WP is a responsive WordPress theme for photographers. It is also suitable for the actors and models who want to showcase their photos. This theme comes with different layouts, gallery options, and custom widgets. Kaleido is a responsive portfolio theme for models, actors, actress and agencies. This theme comes with different home page styles, 6 portfolio styles, custom widgets, and post formats. Almera is a beautiful responsive WordPress theme for Actors and Actress, Model Agencies etc. This theme has 5 home page layouts, 4 different portfolio layouts, gallery and album support etc. This theme is best for showcasing your work. Art Portfolio is a Creative multipurpose WordPress theme for Actors and Actress Portfolio website, Model Portfolio. This Theme comes with Different layouts, Visual Composer, WooCommerce, Galleries, etc. Angel is a Responsive Agency WordPress Theme which suits for Models, Artists, Actors and Actress. These theme comes with features like model management, artist management, Front End Talent Posting etc. UBER is a Minimal Portfolio WordPress Theme for Creative People, Photographers, Models, Agency, Actors, and Actress. This Theme comes with Beautiful Portfolio Pages, Visual Composer, Different Home Page Layouts etc. Faxhion is Responsive Model Agency WordPress Theme which suits for Actors and Models. This Theme comes with 9 ready-made home page layouts, 4 Portfolio List Styles, Visual Composer and Master Slider. John Smith is a responsive WordPress Theme with unique style and is best suitable for portfolio websites. The them has option like live colour and font changer, unlimited portfolios, Widgets and Shortcodes etc. Grabbed Some themes. i got some web designing projects from short film actors and i was searching for some good themes and i got what i wanted. thanks buddy for sharing the stuff. These are awesome looking theme and you have presented them well. I would definitely love to check them in future when I will build a website for movie niche. Hi Umesh, Thanks for your comment. This great collection for film niche. thanks for sharing it. Hey, I am Divakara Ganesh, Founder of WPEra. I am a Blogger, Wordpress Lover, Web Developer, SEO Analyst. I love to do experiments on google.